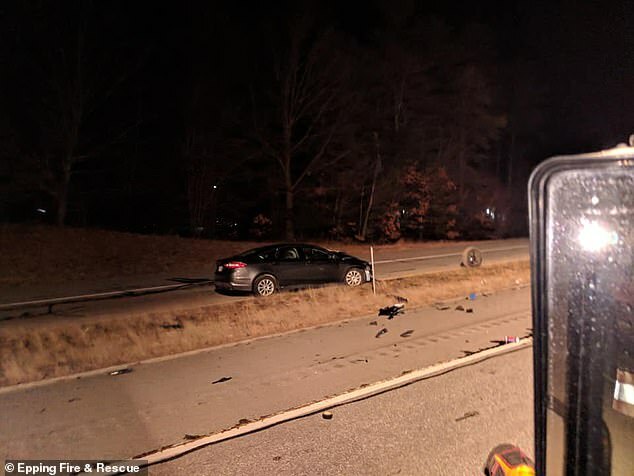 A long-serving police sergeant and his wife were killed in Townsend, Massachusetts on Thursday night, after a driver made a U-turn on the highway and crashed into them head-on. John Johnson, 58, and his wife Heidi, 57, were pronounced dead at the scene on the New Hampshire Highway. Police say 31-year-old Ryan Kittredge made a U-turn in his Dodge pickup truck on Route 101 west at around 11.40pm Thursday, and began speeding in the wrong direction. The Chevrolet Impala driven by Johnson was ‘unable to avoid the collision,’ they concluded. ‘It is with great sadness that I am sharing news of the tragic death of Sgt. John Johnson and his wife in a car crash,’ Townsend Police Chief Richard Bailey said in a Facebook Post. 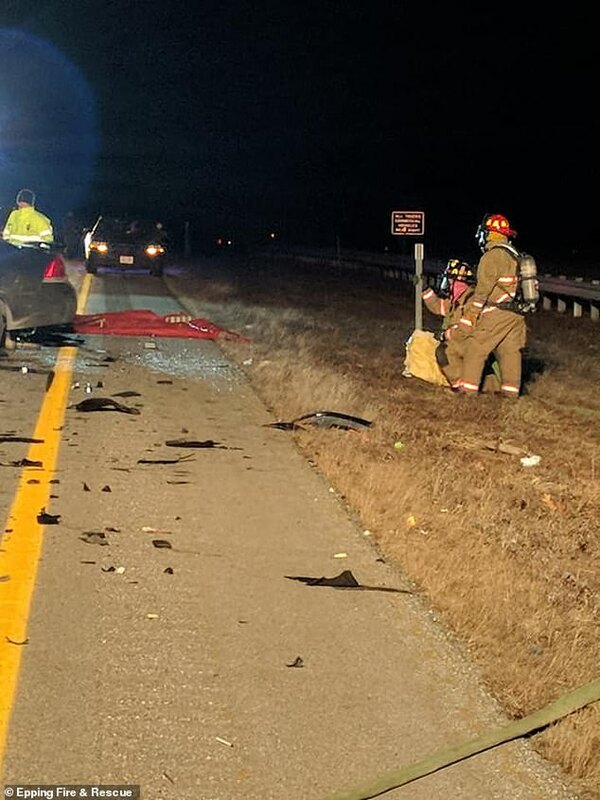 Both lanes of the highway were blocked following the crash, causing a third vehicle to plow into the wreckage. Andrew Neeper, 23, was ‘unable to see the vehicles blocking the roadway because they were completely dark’, according to police. Neeper was taken to the hospital with ‘non-life threatening’ injuries. Ryan Kittredge was taken to Exeter Hospital, but was later airlifted to Massachusetts General Hospital. He is said to have suffered serious injuries. Deputy Chief James Sartell described Sgt. Johnson as an integral part of the department, which he joined as a reserve officer in 1978. Johnson was made a full-time officer in 1985 and later ran the training division. Sartell said Johnson was a very well liked officer who was renown as the ‘grill master’ for his culinary flair at the annual senior center cookout. No charges have been filed yet in relation to the crash. 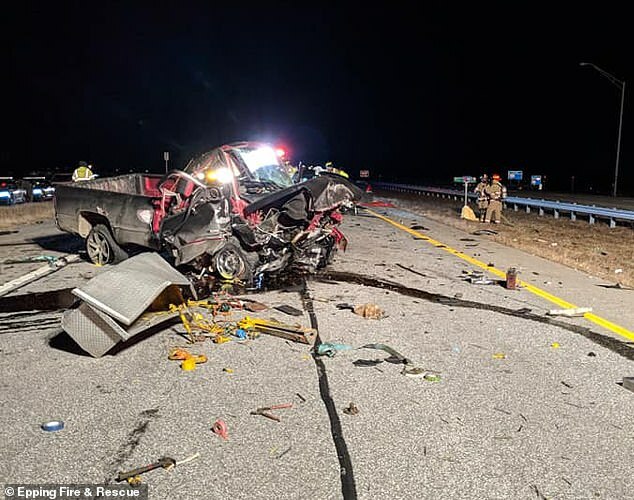 Anyone who witnessed the crash or has more information related to it is asked to contact Trooper Daniel Quartulli at 603-223-8993 or daniel.quartulli@dos.nh.gov.